All six panels were cut from the same long piece of birch. The pronounced grain reminded me of some sort of landscape, so I installed the panels in the order they were cut, to continue the "picture" around the chest. All solid birch except panel in the top, which is birch plywood. 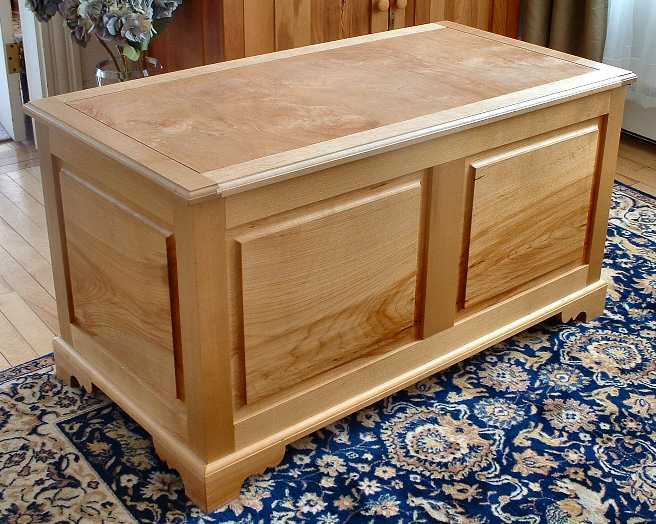 The chest is lined with 1/4-inch tongue and groove cedar.